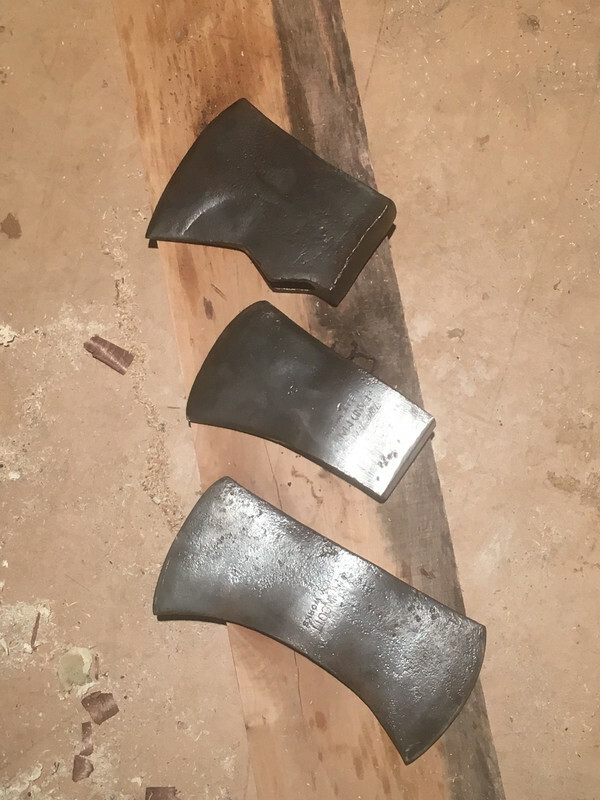 Discussion in 'Axe, Tomahawk, & Hatchet Forum' started by Nbrackett, Nov 9, 2018. 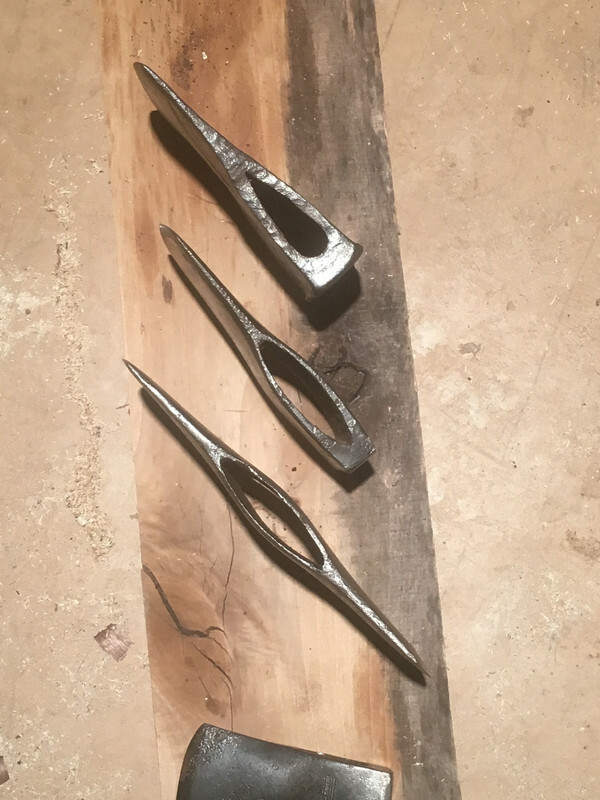 While cleaning these up I came across something that stumped me. This single bit in the center has a double bit eye. 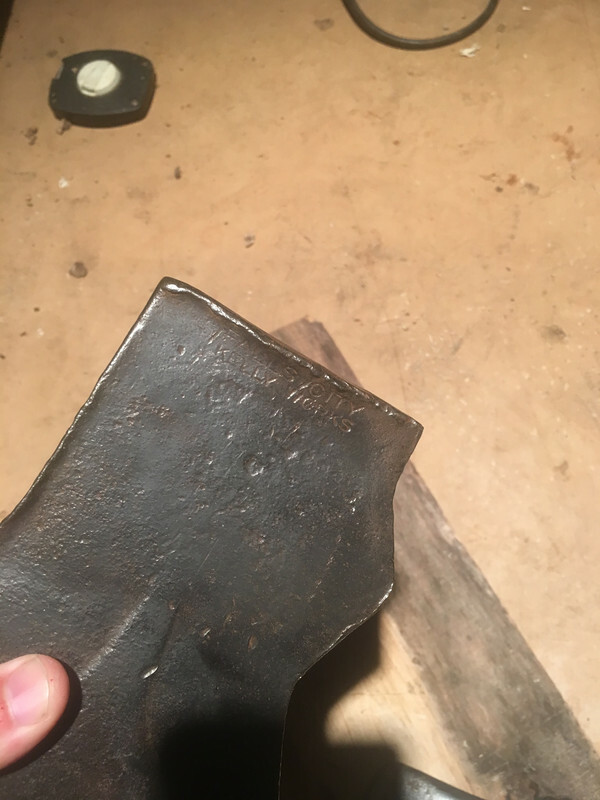 I shot this pic to a buddy that knows much more than I about axes and he answered it for me but I thought I’d post it here as well. Second question. I want to hang this but I’m torn on cleaning up the poll. Doing so will destroy the Falls City and I don’t want to do that. Suggestions? I'd leave that poll alone. There's not enough mushrooming to effect usage, and the patina on that thing is awesome. Yankee Josh, crbnSteeladdict, Nbrackett and 1 other person like this. 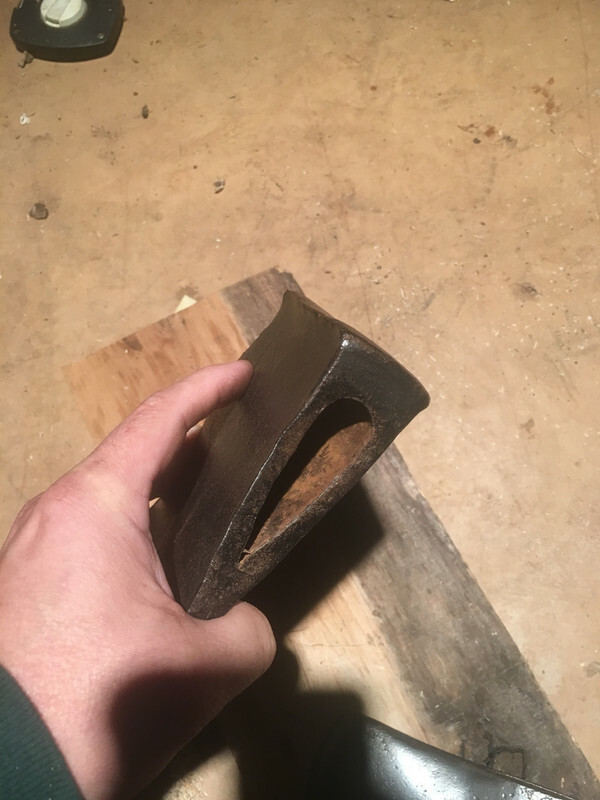 Your buddy no doubt told you that you had a double bit with a damaged end cut off. I wouldn't destroy the Falls City stamp. But if you have the ability to heat it and hammer it you might be able to correct the poll enough that you could file off the remainder while saving the stamp. 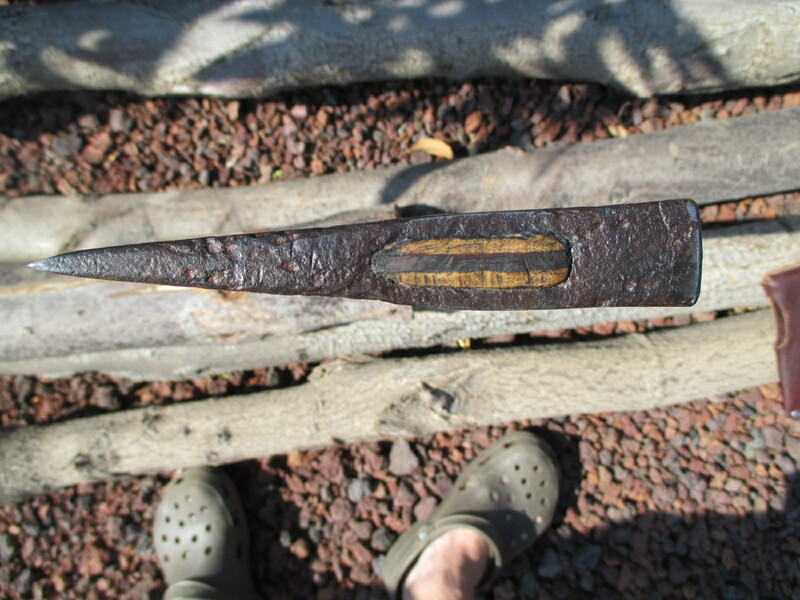 Some of the metal will go back into place at less than forging temperature. Recall that it likely deformed completely cold. But doing this will weaken the metal and might cause microfractures to occur. Still, if you want to keep mass in the poll to balance the whole axe as a chopper this might be a viable compromise. You won't want to use the poll after doing this but it can look better without losing much mass. Yankee Josh and Nbrackett like this. 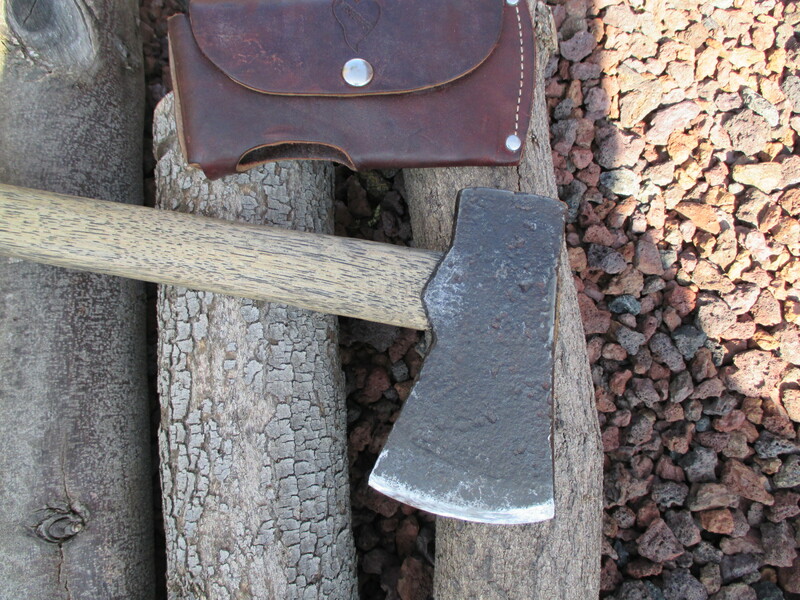 Most likely it used to be double bit axe that suffered major damage and former owner decided to modify it. Square_peg, quinton, Yankee Josh and 1 other person like this. I guess it would be useable on a handle like this as long as I got the head set at the correct angle. I’m not sure it’s worth wasting the handle though. 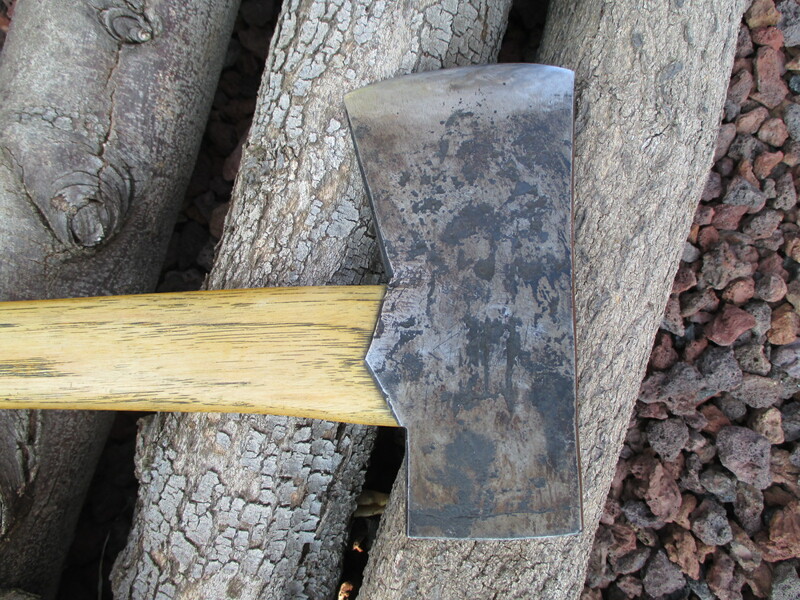 Make it a branding axe to even out the weight. NB with the front of the n and the back of the b as one line. Just hang it and use it - the cut off pulaski or double bit. 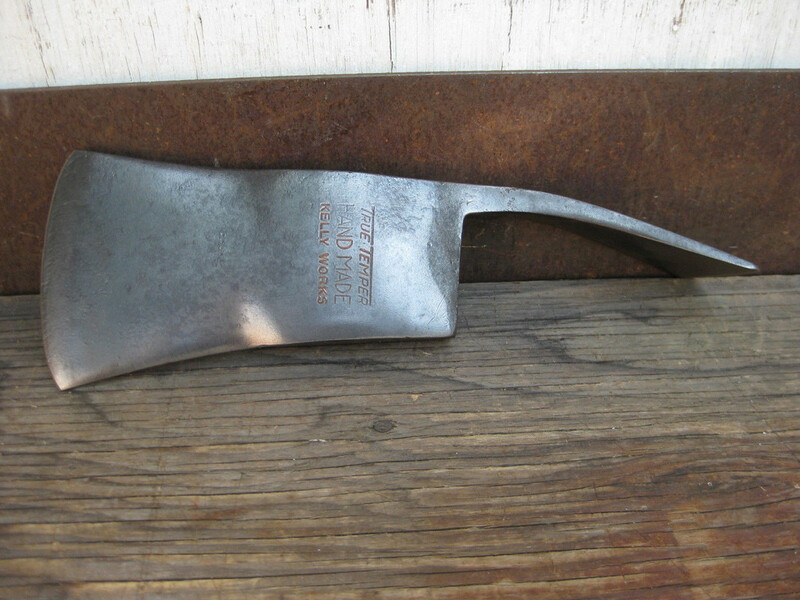 Remember, it's reduced weight now so maybe more like a boys axe weight. 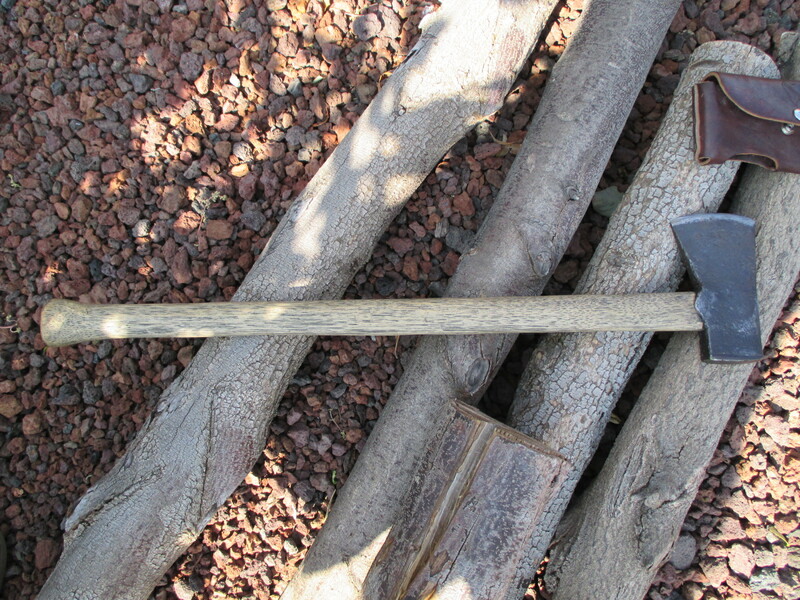 House Handle sells a 30" double bit handle that might match up well with that axe. 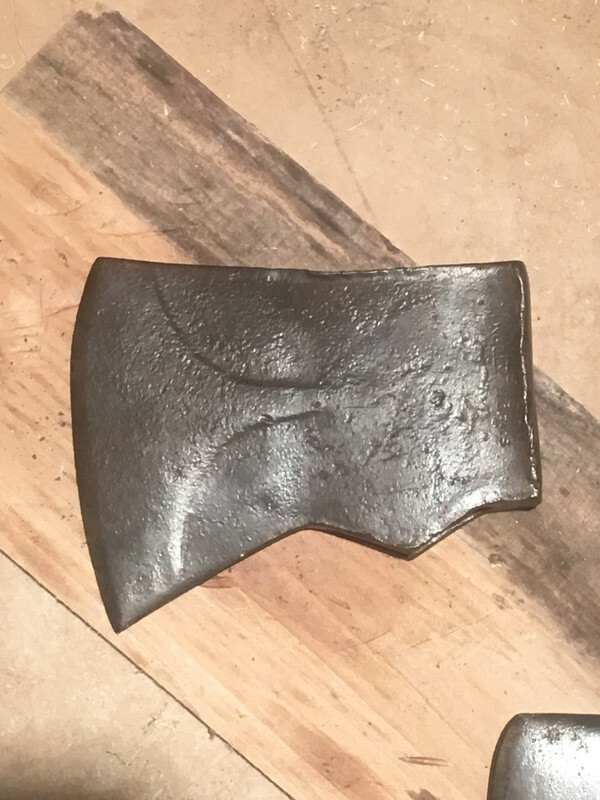 While your axe with the double bit eye has been cut off to make a single bit, this is not always the case with a single bit head with a double bit shaped eye. 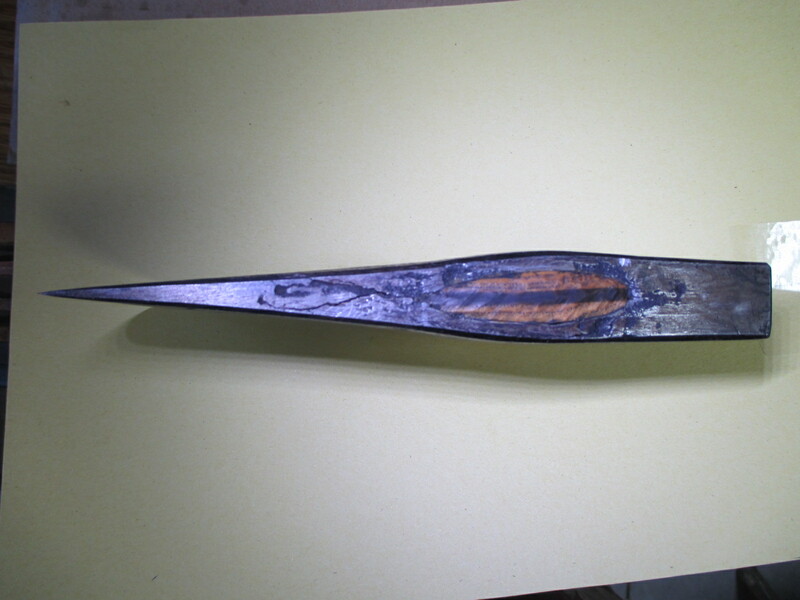 Some 18 c. and early 19 c., hand forged American single bit axes have a double bit shaped eye. Square_peg was kind enough to post some pictures of a couple of mine a while ago. Trailsawyer and Nbrackett like this. Square_peg was kind enough to post some pictures of a couple of mine a while ago. Note the long polls with carbon steel welded on. 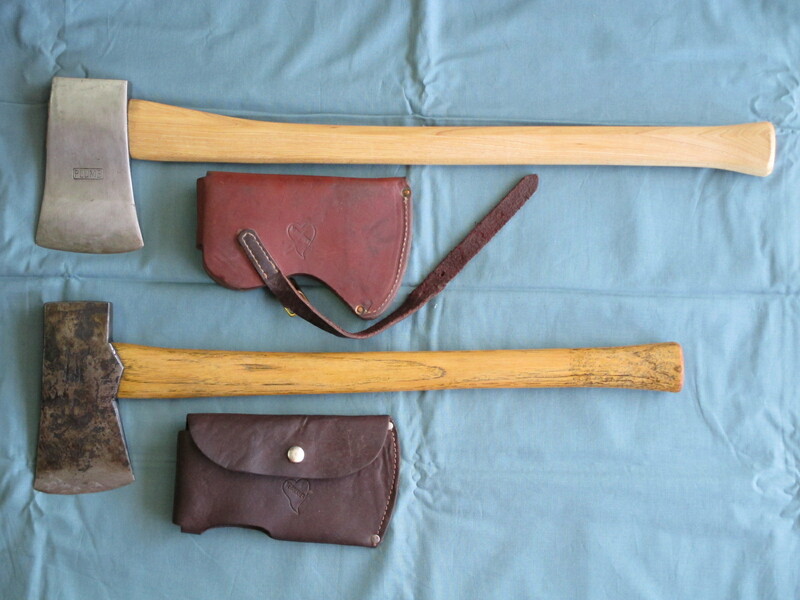 Trailsawyer, garry3 and Nbrackett like this. Thanks again Square_peg! 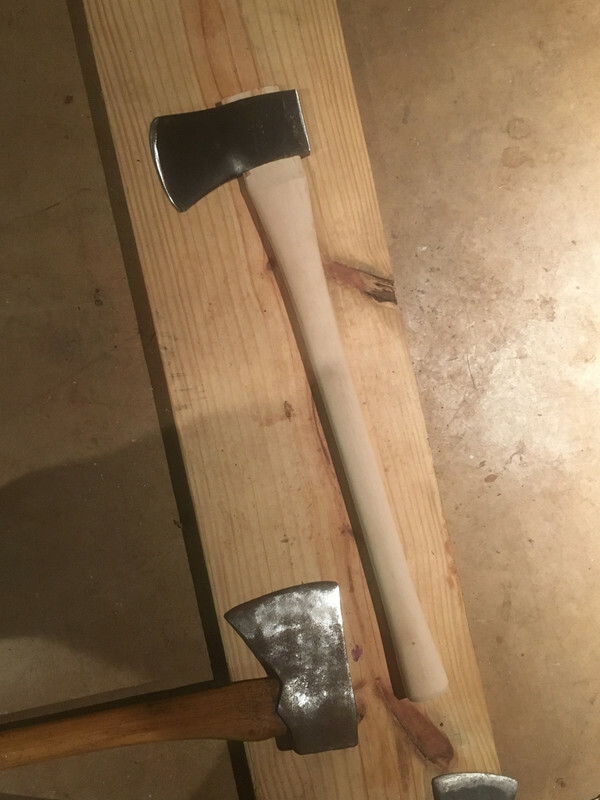 The Plumb boys axe was only in the photo for a size comparison.